This section of the Isle of Wight Coastal Path features the Isle of Wights famous chines (coastal gullies). Whale Chine is the most spectacular in a series of Chines along this stretch of the coastline. Chale Bay was at one time known as the Bay of Death; sixty ships were lost here between 1746 and 1808. Nearby are the Wealdon Beds which have yielded fossilised remains of dinosaurs. 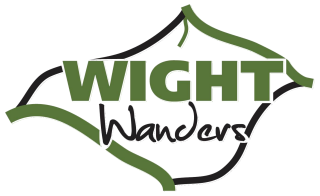 With these and features like the St. Catherines Lighthouse at St. Catherines point, many feel this section offers the best walking and views of the entire Isle of Wight Coastal Path. This section contains some steeper ascents and descents than the others so far. You should be especially wary of the cliff edges in this section as they are prone to landslip. Walking on this section of the Isle of Wight Coastal Path is easy once you have made the ascent onto the cliffs over Packaster Cove. The Ventnor Botanic Gardens lie just after Steephill Cove and thanks to Ventnors mild climate, the Garden contains palms and many other varieties of sub-tropical plants. Bonchurch and the Landslip, so named as it suffered in the great landslip of 1810. The area was further disturbed in 1928 and continues to slip very gradually. Thereafter, as you approach Shanklin, which still retains some of its Victorian elegance, was once home to John Keats and he is commemorated within the town by Keats Inn and Keats Green and finally onto the more modern resort of Sandown. This final section of the Isle of Wight Coastal Path tends to run further from the coast than other sections, in much the same way that the first section did. Here, you move inland after crossing the Wootton Creek. Before that, a highpoint is Quarr Abbey, originally a Cistercian site dating from the 12th Century. The present Abbey, however, was built in the early 20th Century by Benedictine monks. This section arguably keeps the best or at least the most popular, till last though. The stunning Osborne House, a favourite retreat of Queen Victoria is the singular most popular attraction on the Isle of Wight. Thereafter the trail continues back to East Cowes and the end of the walk.